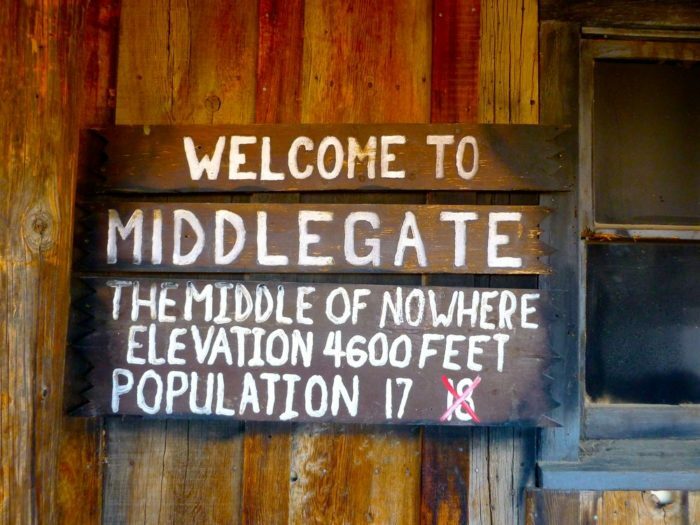 Along the Loneliest Road in America in the middle of nowhere sits a tiny little town called Middlegate. 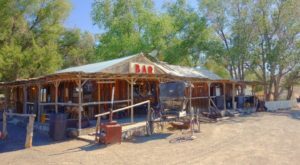 Once a spot where the Pony Express changed horses, today it’s known for two things: A tree full of discarded shoes and a quaint, old west restaurant called Middlegate Station. 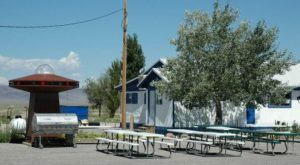 Although it’s a remote watering hole, Middlegate Station serves up amazing grub as well as a food-eating challenge that’s hard to refuse. 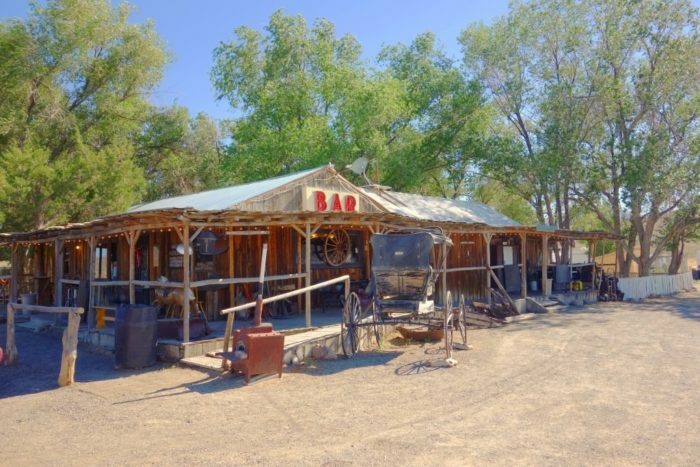 This Nevada restaurant may be in the middle of nowhere, but it’s so worth the journey! 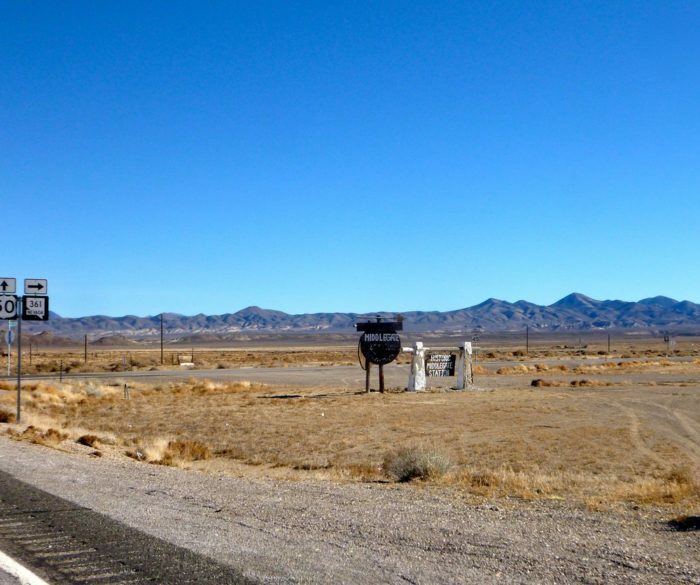 Your remote destination awaits about 47 miles east of Fallon on Highway 50, the Loneliest Road in America, near the State Route 361 junction. 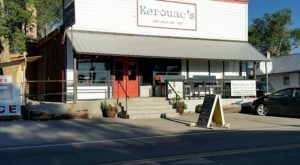 The restaurant, bar and hotel may not look like much from the outside, but trust me when I say, looks can be deceiving. 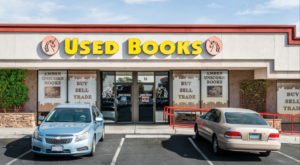 This is an oasis in the desert. Welcome to Middlegate. 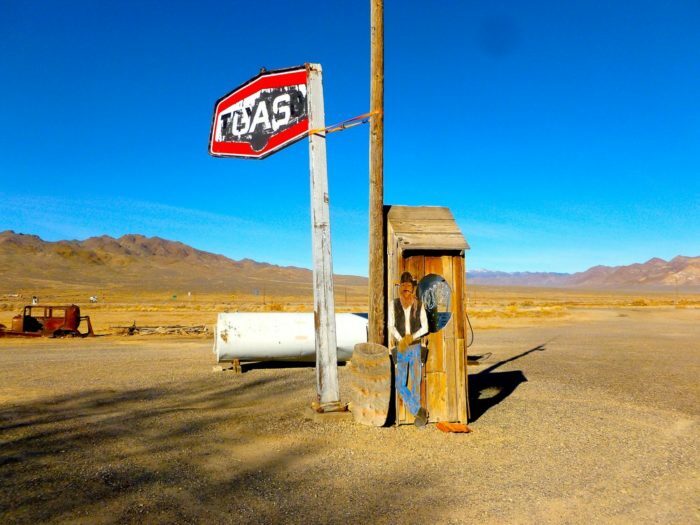 The middle of nowhere. Elevation 4,600 feet. Population 17 (Formerly 18). 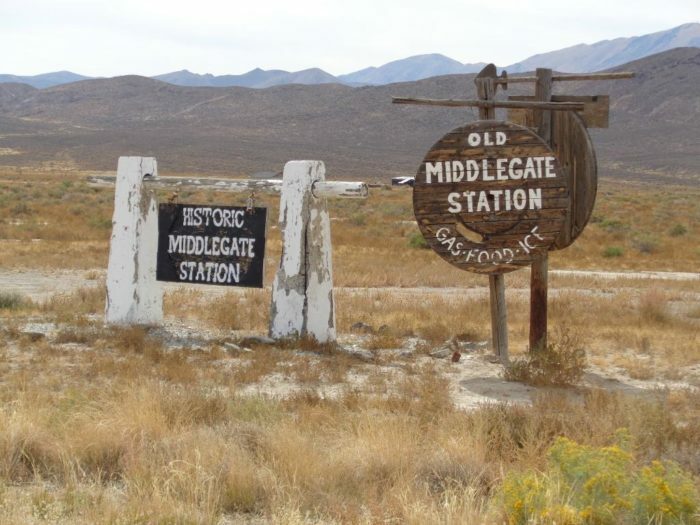 From 1860 through the early 1900s, Middlegate Station served as a stage and freight stop for nearby gold and silver mines. 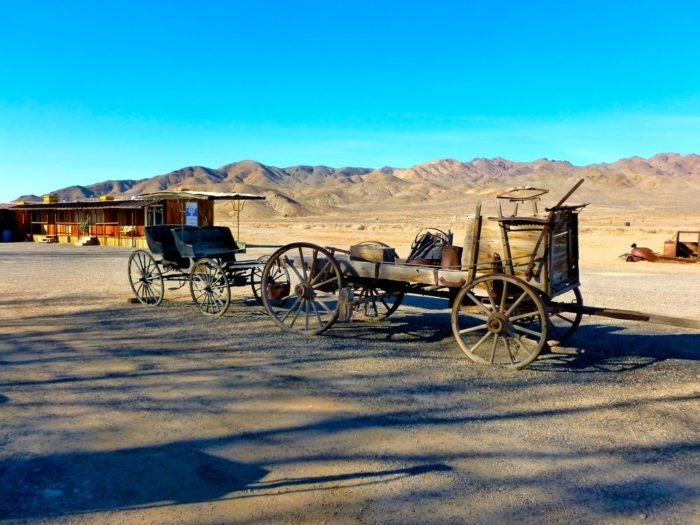 Once automobiles rolled into service, the Lincoln Highway replaced the old Pony Express and Pacific Telegraph routes. 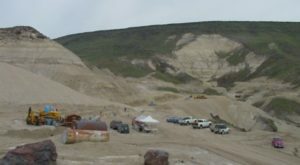 Remnants of Middlegate Station's role in the legendary American west can be seen all around the grounds. 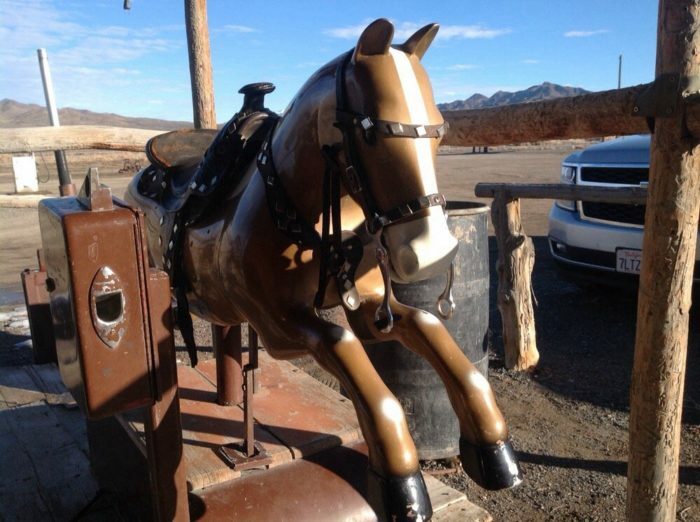 The Pony Express? No wonder it took them so long to deliver the mail. 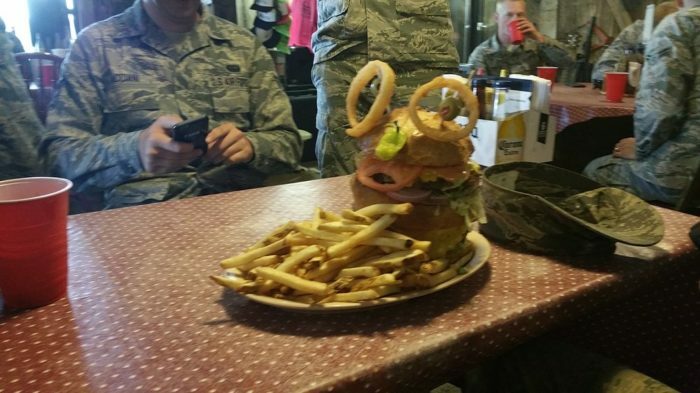 Nowadays, Middlegate Station is known for its Monster Burger. Eat it all in one sitting and owners Fredda and Russell Stevenson will give you a free T-shirt. This one and one-third pound triple-decker Angus burger on a sourdough bun is topped with lettuce, tomatoes, red onions, pickles, cheese, peppers and olives, plus fries on the side. 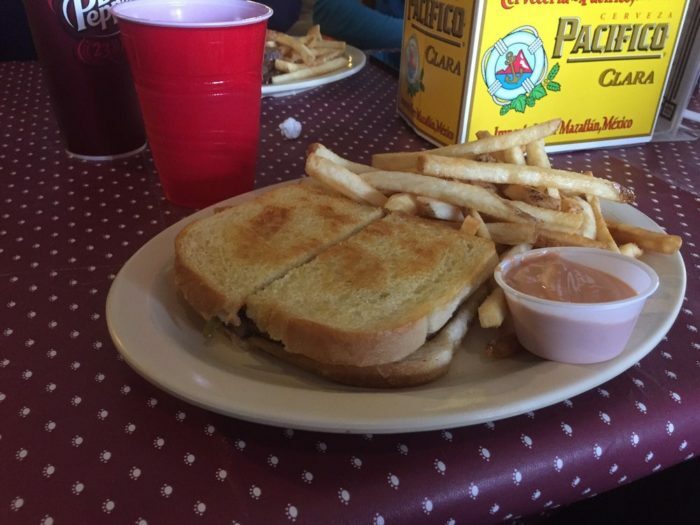 The restaurant has a full menu of delicious items and fries made by "the awesome God of French fry making" according to one Yelper. Middlegate Station's ceiling is also somewhat famous. 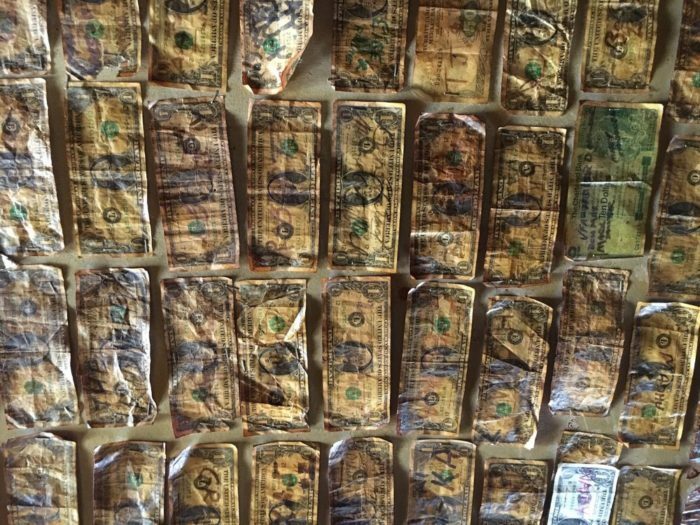 It's covered with signed and dated dollar bills and other foreign currency from customers. 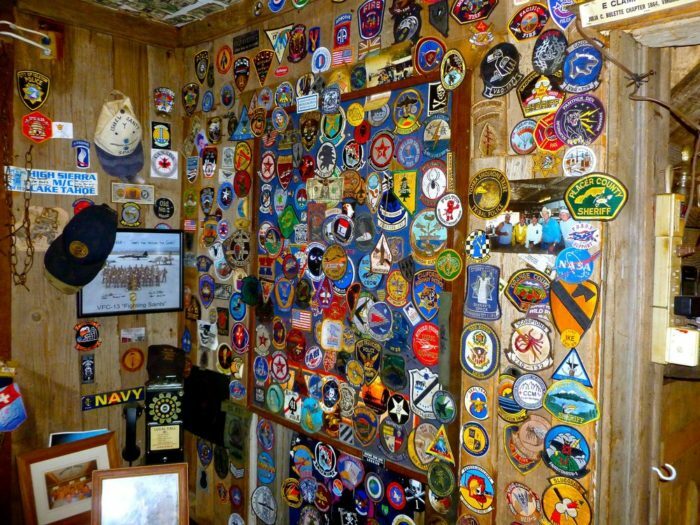 The wall is covered with patches from the police, fire and military personnel who have passed through town. 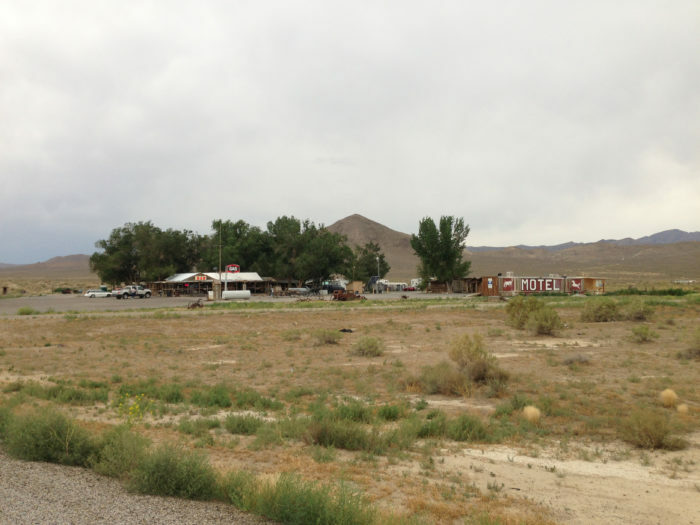 Middlegate Station is located within relatively close proximity to the Naval Air Station in Fallon. Old Middlegate Station is worthy of its own road trip or a stop on your journey to some place else. 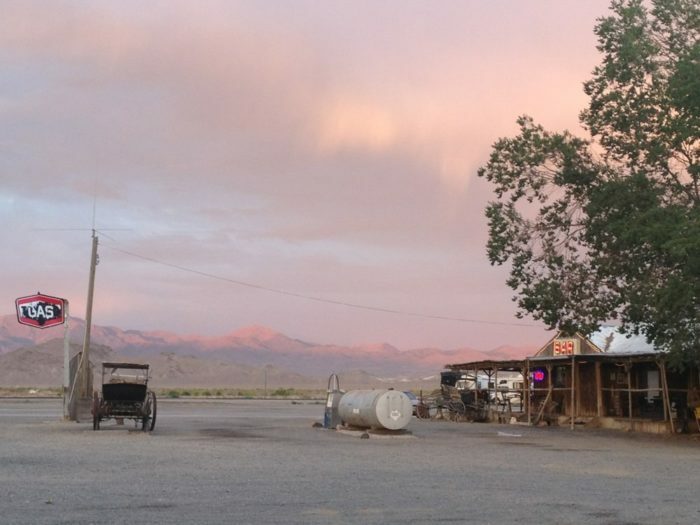 Time your visit just right and you may even be able to ride off into a famous Nevada sunset. 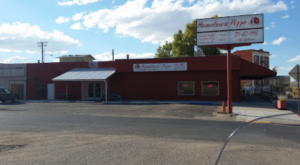 Think you’re ready to cowboy up to the Monster Burger challenge at this Nevada restaurant? 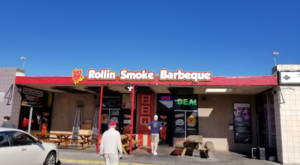 Head on over to Middlegate Station, 42500 Austin Hwy, Fallon, Nevada.